We offer Hot Tub hiring as well! You can hire our great Hot Tub, the Joy. This tub is a great idea for parties and relaxing weekends alike. With 2 loungers and 3 seats, it’s great for either a party or a lovely weekend with the family. Its lightweight design means that getting it in to your garden is no problem for our team. And since we include all the chemicals you’ll need for your time with the Hot Tub, there’s no need to spend anymore on chemicals. 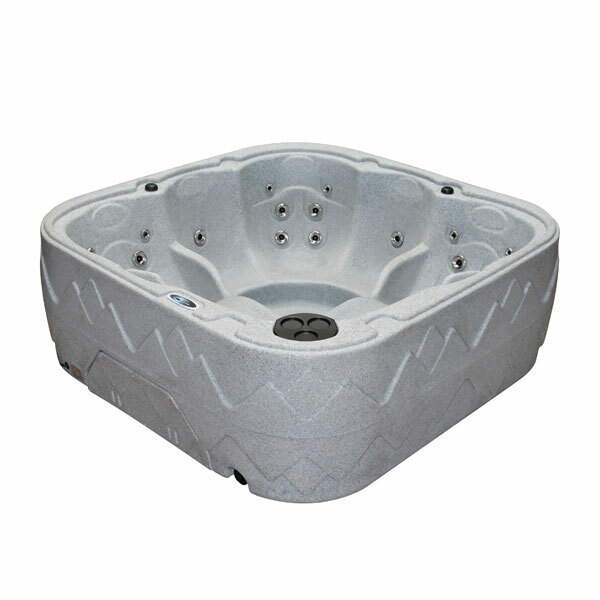 The composite injection moulded shell is robust while also being light so the tub can be placed on grass. We hire our Hot Tubs out for a minimum of 4 days. You can either hire for a weekend, which is Thursday to Monday. Or you can hire for a week, which is Thursday to Thursday. For a weekend the price is £175, for a week the price is £250. Included in the price are all the chemicals you’ll need for the time you’ll have the tub. If you wish to hire out one of our hot tubs, please check the availability below and fill out the hire form. Once complete one of our sales team will contact you to confirm. If you have any issues please don’t hesitate to call us on 01912582220. Before you book your hire tub, please make sure you have this information. Due to the size of the tub we need a minimum of 31″ width (80cm) and no less than 2 metres unrestricted height, please make sure to bare in mind any corners the tub would have to go around, corners could effectively prevent us from delivering. You will also need an outdoor water supply – an outdoor tap and hose is perfect, the tub will take around an hour to fill depending on your water pressure. Please be aware that rental tubs can not be lifted over walls/fences, we also cannot remove fences. Once you have confirmation from our team of availability, please click here to purchase the hire package of your choice.